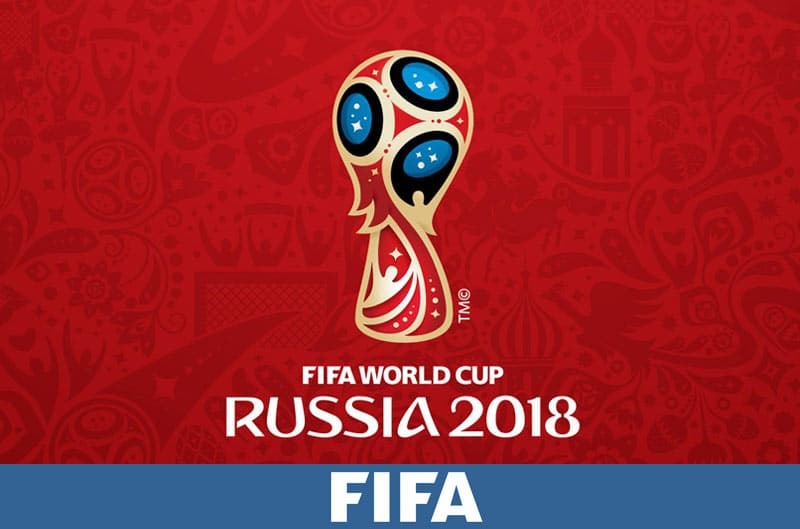 When Optus announced they would be exclusively broadcasting all the FIFA World Cup 2018 games live, with only a selection being shown on SBS free-to-air TV, they promised that they had the capability and commitment to provide world-class broadcasting of every game. It looks like they are finding that promise harder to keep than expected, with the broadcasting of several games over the past few days experiencing technical difficulties. The problems began during the Group A game between Egypt and Uruguay, only the second game of the tournament and screened exclusively by Optus. It’s estimated that 10% of viewers were affected by buffering problems, with the streaming service occasionally dropping out entirely. Fans were furious, and many took to social media to express their frustration. Optus was slow to respond, until they posted a short statement on their Facebook page in which they apologised for technical difficulties and told customers to go to the website to continue watching. Optus blamed the issues on an “extremely large number of customers” signing up for Optus Sport before the game, and went on to say that they had “implemented a number of measures” to stop it happening again. Those measures clearly weren’t enough, as after a few matches that were streamed without issues, customers were once again experiencing streaming problems which many customers said made the game unwatchable. On Saturday night and early Sunday morning, viewers also reported troubles viewing the Australia v France match which was simultaneously broadcast on SBS, and the Peru V Denmark and Croatia v Nigeria games that were only offered by Optus, leaving fans no other option than to watch a poorly broadcasted game. Optus released a statement saying that, “Some customers who watched the match on the Optus Sport app, on certain devices through other telco networks, experienced buffering issues”. It appears that most problems occurred for customers using the iOS app and streaming issues have also occurred for customers who are not using the Telstra or Optus networks to stream the games. Whatever the reason, many football fans around Australia are not happy. “We are pleased to update the next two matches were transmitted to our Optus Sport customers with minimal issues. While most customers on most platforms were unaffected, we are extremely disappointed that some customers did experience issues and apologise unreservedly to those customers who were affected. This is in stark contrast to how Optus coverage was advertised initially, with promises that viewers would be able to access high quality, full coverage. Many fans were frustrated at having to pay for full coverage where they had been able to access the games for free on SBS in the past, so the issues with streaming are extra jarring to paid customers, many of whom signed up just for this event. Optus continue to assert that the majority of viewers were not impacted and had a “good viewing experience”, and that the network was working hard to ensure no further issues would arise. However, the Optus CEO Allen Lew posted that he “apologised unreservedly to all Australians”. The FIFA World Cup is a massive event watched by millions all around the world. Football might not be the number one sport in Australia, but it is still immensely popular. The Socceroos v France game was the most-watched show on that Saturday night, with an estimated 3.4 million viewers. While some matches are understandably more popular, Australia’s diverse population means that no game is “unimportant” to fans. Fans will find it hard to accept that poor broadcasting could be blamed on a high volume of viewers, as a massive number of viewers for every game is only to be expected with the world’s most widely viewed sporting event. By purchasing the rights to the World Cup from SBS, Optus has committed itself to broadcasting an event that is eagerly anticipated for 4 years, with each game attracting passionate viewers from all over Australia. Unfortunately, this is not the first time that the telco has had troubles in this area. After Optus acquired exclusive broadcasting rights of the English Premier League from Foxtel, the opening weekend of their coverage of the 2016/2017 season had streaming issues that affected the viewing experiences of many fans, and attracted similar criticism. Before the World Cup began, Optus Sport executive producer and presenter Richard Bayliss told Guardian Australia that the World Cup broadcasting should be problem free. “The technology now is light years ahead of where it was a year or two ago”. Unfortunately, it now seems that there was cause for concern. Prime Minister Malcolm Turnbull personally contacted Optus CEO Allen Lew to ask what was being done to resolve the issue, and was assured that the problem would be fixed by this evening. SBS have announced that they have reached an agreement with Optus to simultaneously screen over the next 48 hours matches that were previously offered only by Optus, ostensibly to provide a buffer while they iron out the last of the problems with the streaming service. “In 2016, SBS negotiated a deal with Optus that has allowed us to bring more of the best international football to Australians free-to-air than there has been in over a decade, by securing free-to-air rights for the Premier League through sharing the rights to the FIFA 2018 World Cup,” they said. Those rights have now been temporarily expanded to include all games over the next 48 hours. Fans have generally been happy with the broadcasting offered by SBS in the past, and expected big things from Optus – especially as they now have to pay to access the same content SBS offered for free. So far those expectation have not been met, and Optus have some serious work to do to ensure they maintain a positive image. As it now stands, many fans of football will not be fans of Optus. SBS are offering a limited selection of games that includes all Socceroos clashes and a match of the day. For the next 2 days they will screen all matches simultaneously with Optus. The games SBS shows are also available On Demand. If you want to watch games that SBS won’t show, you’ll need an Optus subscription. It used to be exclusive to Optus customers, but Optus have extended the offer to anyone for a cost of $14.99 per month. There are no lock-in contracts so you can cancel after the FIFA World Cup if that’s what you’d prefer. If you’re already an Optus customer, most plans include Optus Sport without an additional cost.